Holy cats! 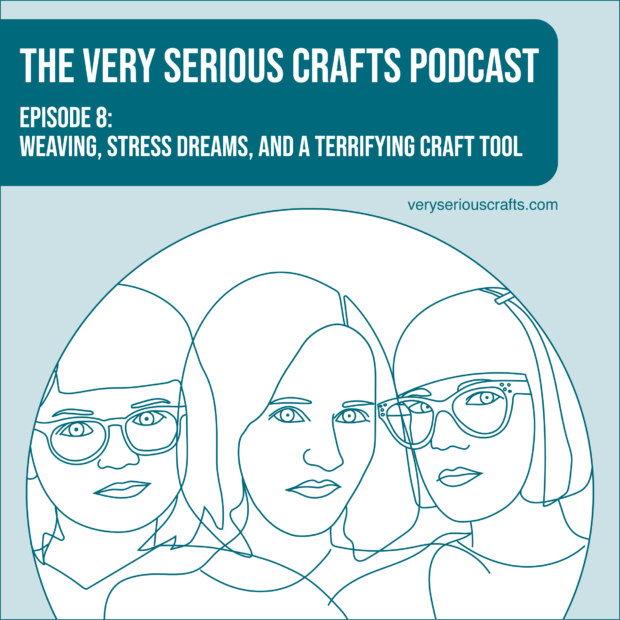 The Very Serious Crafts Podcast, S01E08 has been released into the world! 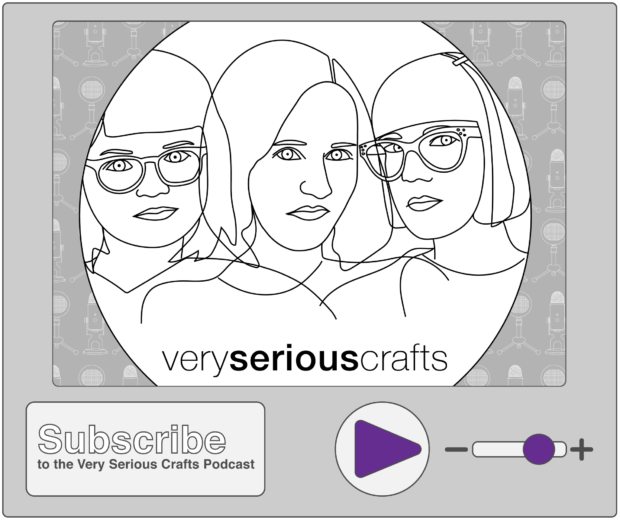 This time, Mollie shows us some cute vintage craft tools that inspired a shocking amount of legal drama, Haley stares into the portable hellmouth that is her microwave kiln (Any Buffy fans out there? ), and Heidi somehow escapes with all of her teeth in tact! Basically, hilarity ensues. And then keeps on ensuing. 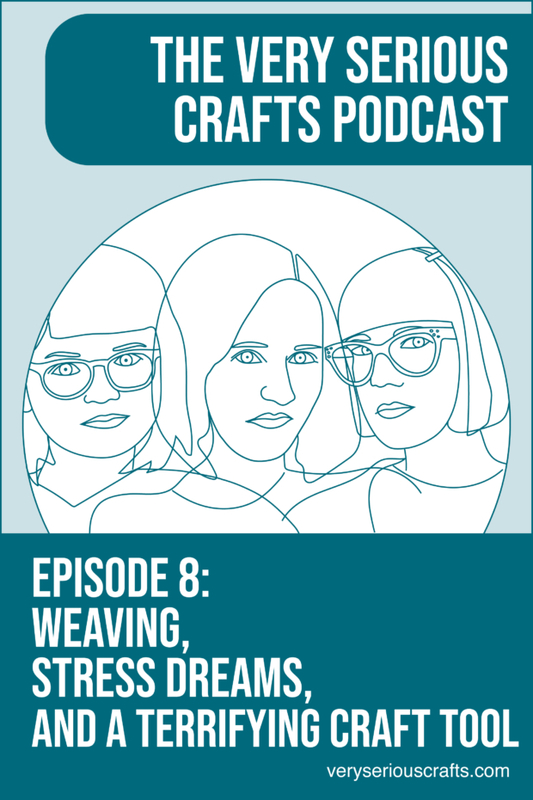 (Honestly, I probably don’t even want to know how many minutes of gasping laughter Mollie had to edit out of this episode, but I’m guessing it was a LOT.) Plus, it contains at least two solid dad jokes! In the Very Serious Crafts Podcast, Season 1: Episode 8, Heidi’s knitting vacation does NOT go well, Haley fails spectacularly at bobbin lace, and Mollie gets, ahem, excited about craft supplies. Listen right here, or subscribe by following the link provided below.  You can read the show notes for this episode here.